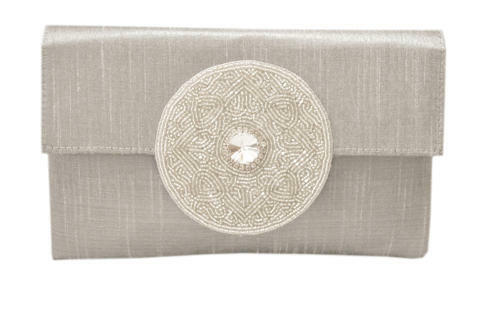 Complete your looks with this classic shaped silk clutch. Perfect for a special occasion or a night out. Small internal pocket with zip. Including a detachable shoulder strap. H14 x W23 (widest part) x D2 cm.